Angry protesters stormed the Iranian consulate in the southern city of Basra on Friday, setting a fire inside as part of ongoing demonstrations that have turned deadly in the past few days, a security official and eyewitnesses said. At least 10 protesters have died in clashes with security forces since Monday, including three who were shot dead by security forces on Thursday night as protesters lobbed Molotov cocktails and set fire to a government building and offices of Shia militias in the city. 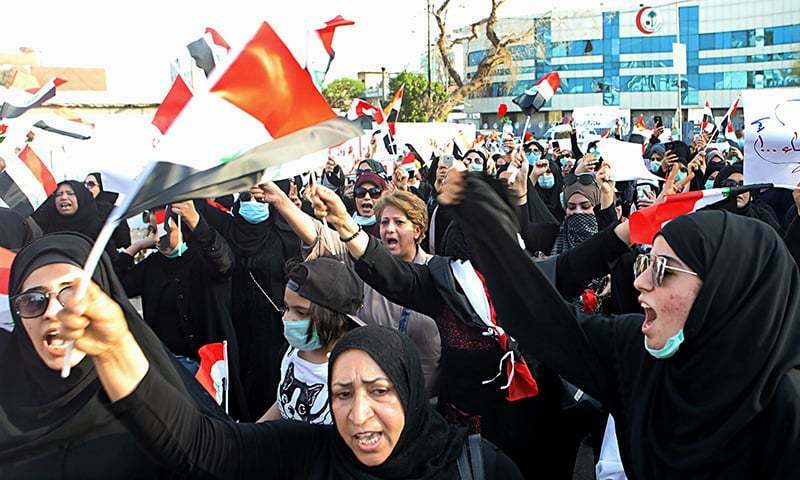 Residents of Basra and other cities in Iraq's oil-rich southern Shia heartland have been protesting since July over endemic corruption, soaring joblessness and poor public services. Clashes erupted earlier this week, leaving several civilians and police dead. Prime Minister Haider al-Abadi has ordered an investigation into the violence which shows no sign of abating. 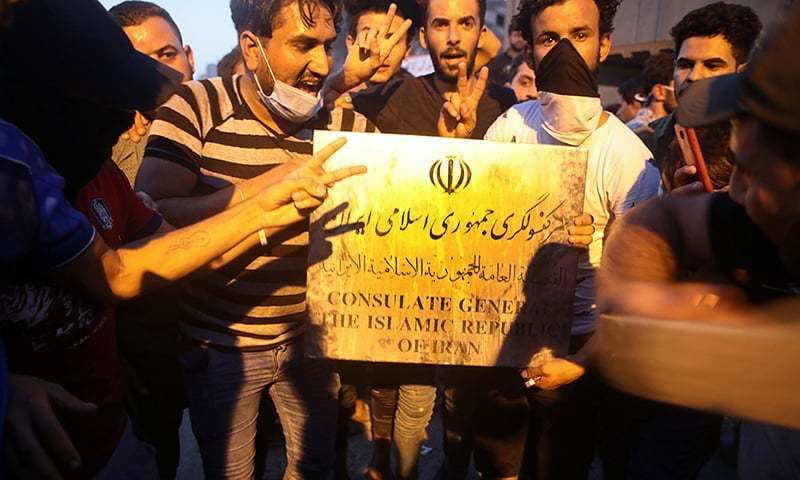 The protesters shouted anti-Iranian slogans outside the Iranian consulate on Friday evening, including “Iran, out, out!” before they stormed it and set a fire inside. Smoke could be seen rising from the building. Protesters also burned an Iranian flag. 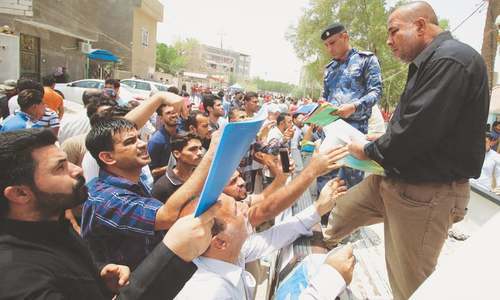 Many residents of the predominantly Shia city accuse Iranian-backed political parties of interfering with Iraqi politics and some hold them responsible for mismanagement and the poor services in the city. Later Friday, angry protesters marched to the city's presidential palaces compound, where Shia paramilitary troops are stationed, and tried to breach it. At least three cars driven by the troops ploughed into the protesters, killing one and wounding four others, according to a health official who spoke on condition of anonymity because he was not authorised to speak to media. Elsewhere in the city, protesters tried to attack the headquarters of Assaib Ahl Al-Haq Shia militia and the guards stationed there opened fire. It was not immediately clear if there were casualties. Meanwhile in Baghdad, security forces launched a search operation to determine the source of three mortar shells that landed inside Baghdad's heavily fortified Green Zone. There was no immediate claim of responsibility for the mortar shells that landed just after midnight Friday in an abandoned lot in the Green Zone, and no casualties were reported. Both alliances are dominated by Shia, who have held the preponderance of power in Iraq since Saddam Hussein's ouster in 2003. But the largest Sunni blocs are aligned with al-Abadi and al-Sadr. Iraq's two main Kurdish parties have not taken a side. A representative of the Shia community's spiritual leader, the Grand Ayatollah Ali al-Sistani, condemned during the Friday prayers sermon the violence against peaceful protesters and called for the quick formation of a new government that can deal with the challenges facing the country. Peaceful coexistence, and non-interference in internal affairs of any nation. These are the golden principles of UN. Ironically many nations does not respect these golden principles.